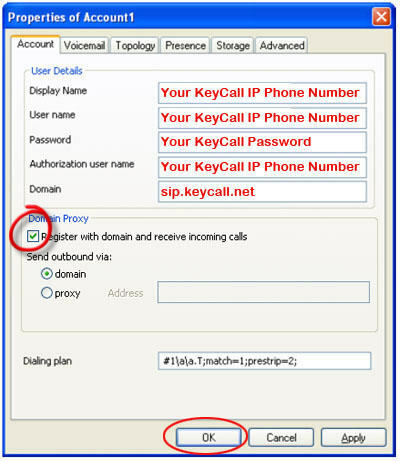 After created and activated a KeyCall IP Phone Number. Please follow the following steps. 1. Start X-Lite by using the Windows Start menu or by double-clicking the desktop icon. 2. 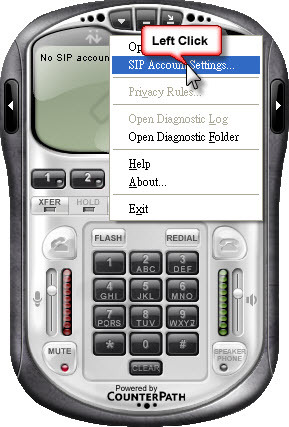 The Call display shows Initializing, followed by Discovering network and Awaiting proxy login information. 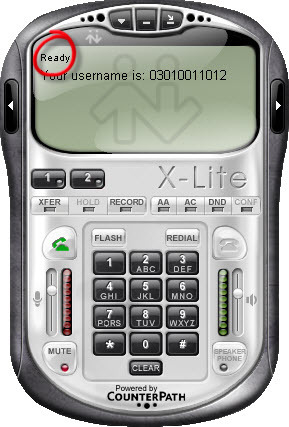 Users must set up at least one account before using X-Lite to place or receive calls. 3. To use an account for VoIP communication, the account must be enabled within the X-Lite client.To enable an account, click at the top of the softphone, choose SIP Account Settings and select the Enable checkbox for the desired account. 5. After Setting the SIP Account, click close to close the setting box.If the screen display Ready , then your softphone has login successful.